You get a quickie today. No finished objects again. 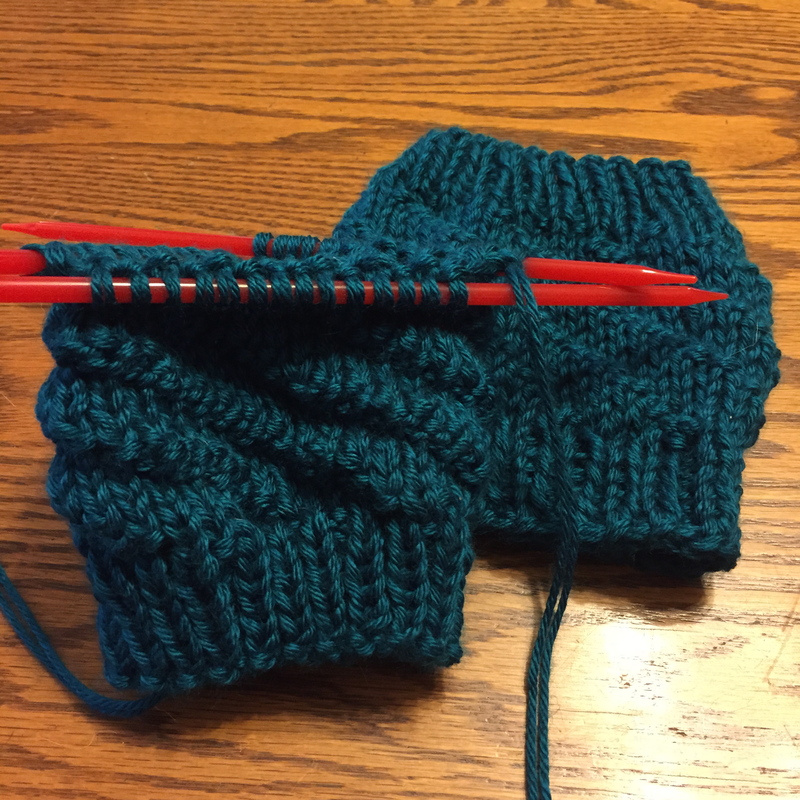 My plans to finish the cowl were foiled by a need to knit some boot cuffs, so that’s what I worked on yesterday. And they would be a finished object if I hadn’t run out of yarn. Last night. When I have only an inch of ribbing left to knit. Sigh. I have nothing else to show partly because I got distracted by playing with my pen collection. 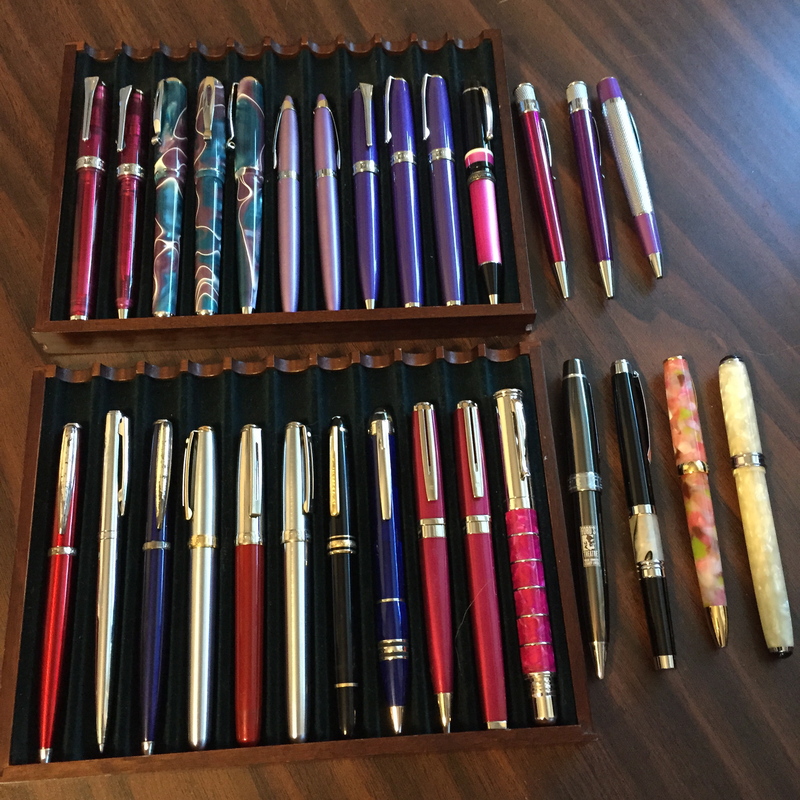 There’s a lovely new pen I want to buy but I have too many pens, so I thought I might pick out a few I’m willing to sell. Then I just wanted to admire all my lovely pens. See? Aren’t they pretty? These are the ones I have to keep. And I better not hear anyone say “Another pen? Don’t you have enough already?” because I know you people. You don’t want people to say, “More yarn? Don’t you have enough already?”, right? Right. No puppy photo today. He’s downstairs eager for his walk, and I’m eager to get him walked so I can get to the yarn store. To buy more yarn. It’s for a certain project, so I’m allowed this time!